Do you feel stressed out? I know I do. Most people I know feel that way. Much of this is from society’s rising expectations of us. We can reduce the effect of these external forces. It takes clear thinking and a solid strategy. I learned some solutions from Richard A. Swenson’s book, “The Overload Syndrome.” His book inspired this post. It is difficult for super-achieving physicians to accept that we have limits. We need to become familiar with them and honor them. Despite our programming, we are not superheroes. You will never know everything in the Prescribers’ Digital Reference (formerly, Physicians’ Desk Reference, PDR). Let alone the contents of the thousands of new journal articles. No matter how much you study or how smart you are. We need to realize there is a limit to how much we can do in a day and a limit to the capacity of our knowledge and ability. Is more always better? Expectations of increasing success, productivity, and prosperity cause chronic frustration and fatigue. We cannot or should not increase our wRVU performance every single year. Keep your spending increases small and invest. Building wealth is simple, but not easy. Some of us in the upper-middle-class and upper-class associate with only our peers. They have beautiful spacious homes. Swimming pools and country club memberships are part of the rising expectations. As are international flights for vacations. Comparisons are very important. The opinions of others will affect your own view of wealth and success. My private-practice income was in the top 5 to 10% of my field. Yet, I did not feel rich. Three of my partners owned their own planes, hotels, and houses exceeding 10,000 sq. ft. Spend time around those in the lower or lower-middle income range. Get to know your patients and staff better. Volunteer to help the poor. I always feel rich and grateful after volunteering at a food pantry. Success has a way of increasing expectations. Our accomplishments can become criteria for our self-esteem if we are not careful. This can lead to a psychological trap. We may feel we are in a race to keep up with rising expectations of achievement. It is healthy to have high standards and lofty goals but be aware of your thresholds and limitations. Advertisers load TV shows up with commercials. Their intentions are to push your subconscious towards increased spending. Limit your cable TV viewing. Use TiVo or DVR to avoid ads. Pay extra for ad-free games, Kindle, apps, and Hulu. Watch expenses on big-ticket items the most. Our assumptions and opinions of others affect our buying habits. They influence our choice of cars, clothes, furniture, carpeting, appliances, and cell phones. Don’t feel compelled to spend money to keep up with fashion. Use your own judgment and critical thinking skills. It will save you a fortune. Newer is not always better. Especially with the first round of new technology devices. Buy based on utility rather than status. You may suffer from fashion mediocrity, but you will save a fortune in the process. Sometimes I feel that between November and January I am living in one big commercial. Christmas is now promoted as a buying sport that starts well before Thanksgiving. We spend a fortune on birthdays, engagements, weddings, funerals, and Christmas. Scale them back 50%. You will not notice any drop in quality of life. We would enjoy holidays more if they were simpler, less stressful, and less costly. You don’t need to obsess over expenses or a budget to become rich. The floor plan of new homes far exceeds the space required. I am not advocating for tiny houses. Although that can be a reasonable choice. No one needs 10,000 sq. ft. – not uncommon among physician houses. Realtors, neighbors, colleagues, and bankers talk us into McMansions. Some will tell you that because you can afford a bigger mortgage, you should. Don’t let that argument put you into too much house. Be conscious about spending money in a way that boosts your happiness. When we put expectations on others they return the favor. This creates reciprocity of high expectations. When we cut others some slack, they will do the same for us. This is true with administrators, colleagues, friends, and our spouse. We seem to have a society steeped in entitlement thinking. The world does not owe us a living. We are all in danger of spoiling our children. The upper-middle class, like physicians, want to share their success with their children. In the end, this can cause more damage than benefit. Their material expectations are set high. Many expect to start out where their parents ended up. Realize it took decades of hard work and saving to get there. I worked to create a sense of scarcity and deprivation within my home. I do not want us all to feel rich. That is part of the reason why I have money diverted into investments from each check. It creates a sense of adequate resources, but not excessive wealth. We live in a rich nation with advanced technology and luxury everywhere. It is easy for us to get soft. Consider denying yourself. Could you skip coffee for a few days and tolerate a headache? How about a little less sleep for a few days? Ever try fasting? Could you exercise for an hour a day for the next two weeks? Could you go outside without a coat? Of course, you could do these things. You can then return to your regular routine. The strength of your character will be palpable. Pride and gratitude will outweigh any sense of deprivation. Seneca (a stoic 2,000 years ago) advocated for this technique. It still works to improve our sense of well-being. What about you? 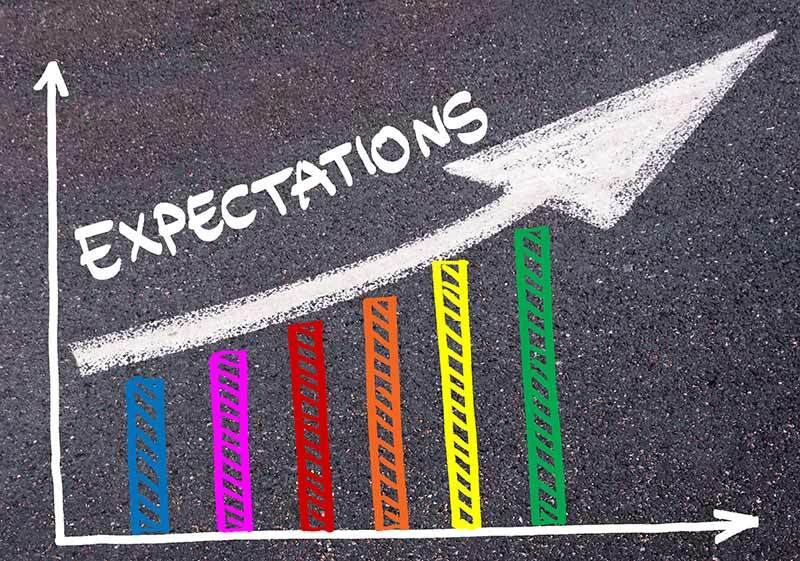 Are you stressed about not meeting rising expectations? How do you fight against that? Do you have tools you could share to improve contentment for others? Physician Employment Options. Who will be your boss? Previous Post Is Long-Term Care Insurance A Waste of Money? Wealthy Doc is a financially independent physician who enjoys helping others to achieve financial freedom. The children of physicians certainly can have issues with entitlement. I know I have been a lot more lenient financially with my daughter because it really is hard to resist her asking for something when in the grand scheme of things it doesn’t cost that much. But I try to set limits and make her accountable for her money. The enough concept is important because there is always someone higher than your status that will make you never be satisfied if that is what you are trying to become. I really struggle with this one. I grew up very poor. I’m glad to be able to financially provide for my children. They have more than just a roof over their head and a full belly. They enjoy safety, travel, educational opportunities, high-tech toys, sports, and tutors. There is a risk all the resources will spoil them and reduce their drive. I was ambitious and “hungry” partly because I wanted a better life for myself in the future. Provide well. Share. But don’t spoil. Where do we draw the line? Private school? European vacation? Is a cell phone okay, as long as it isn’t an iPhone X? I’m not sure. My wife and I make it up as we go and hope for the best. I love lacking ambition. It is a simple and enjoyable way to live. I recommend it to anyone with an open mind. I realized a long time ago that stuff and status did not matter to me…. We could all benefit from being more like you guys, MB. It is rare to hear that among doctors. A lot of the good stuff of my life came from my persistence and killer work ethic. It is tough to give that up. Fortunately, my wife and I are not too materialistic. Frugality seems easy and natural to us. Our biggest drives are internal rather than external. I think a huge part of this is simply learning to say “no”. It is really hard for a group of people who said yes to a ton of things to get to where they are. I know this is a challenge for me, even after I adopted my “Hell, Yes” policy. “Pride and gratitude will outweigh any sense of deprivation.” That is an awesome quote. Learning to be content really is the super power to all of this. Combine that with the power of learning to live by your own expectations (and no those of others) and true freedom can be found. Saying “yes” has brought me a lot of wonderful things in my life, so it is hard to switch. But the more I say NO (strategically) the more my life seems to improve. I’m actually setting a very ambitious goal of doing less. It doesn’t come naturally to me to cut back. I have to put “cut back my to-do lists X amount” to actually make it happen. Strange, I know. But a lot of doctors and high achievers can relate. Great article Wealthy Doc. Since leaving my full time banking job I have spent a lot of time identifying and focusing on my values. While it took awhile (old habits are hard to break) the quality of my life and thinking has greatly improved. Meaning for me is no longer derived from who owns the biggest house, who drives the fanciest car, who has the biggest title, or who has the most money. Those things do not matter to me anymore, and my life is so much better for it. These days I just putter around finding ways to help people and that is where the fun is for me. I thought everything would be so easy after I cut back to part-time. I mean I would have tons of free time and plenty of money to enjoy it. What could be hard about that? The transition from over-packed structured work hours to blocks of free-time was a big one. It wasn’t that I had nothing to do and was bored. Quite the opposite. I had so many interests and ways of spending my time that it flew by. I realized I didn’t want to waste my time and life. I needed to become more strategic. For me, that meant clarifying my values. Then making goals from those values. Then projects and tasks and schedules from that. It was all new to me since I’ve just been following a standard school-to-job program that had been laid out for me. I can relate to setting my own priorities and helping people how and when I want to. You and I think a lot alike. I’m sure you too get strange looks when you turn down some shiny new toy or job opportunity. Our cultural pressures are fierce. It takes clarity of thinking and strong resolve for us to do something a little different with our time and life. I just ignore the noise and don’t give an F. It may take a bit of self-confidence, maybe cockiness and stubbornness. But I know who I am, what I’m all about and really don’t care what anyone else thinks or does as long as myself and my family is taken care of, I meet reasonable expectations of society and work, and I don’t cause any harm to anyone. I value simplicity in life which helps matters greatly, try to think critically and for myself, while trying to keep a broad open perspective. Great advice, WD. My experience with cutting back is similar to yours: I’ve never had so many fun things competing for my time that bring me joy. Looking at your list, every doc should be able to find one or two items that fit their specific super powers. Mine, for example, is eschewing fashion. P.S. Enjoyed your interview on Xrayvsn! Crispy Doc recently posted…Does Working Part-Time Make You A Better Doctor? I’m glad you like it. Some of those tips will resonate with certain individuals, but not all. Like you, I have learned the importance of gratitude. Each morning I think of a few things and people that I’m grateful for. It doesn’t have to be a long list or be written down. But even basking in gratitude for a minute has a positive impact on an entire day. Amazing stuff. And as you probably notice about me. I too don’t spend a lot of time or money on fashion! I enjoyed the X-ray treatment, even though I felt a bit exposed. Xrayvsn does an amazing job with his interviews. This post reads like a how to for living with purpose and pursuing true happiness. Well done WD! It is easier said than done. But it is worth striving for. This post spoke to me greatly. Contentment, gratitude and generosity are 3 principles that I’m extremely passionate about. Contentment may be the most important. It helps us put things in perspective. Coming from a 3rd world country with so much lack around me helps me navigate the consumerist culture I now find myself immersed in. Comparison is the thief of joy, so I never try to compare. You know why? Because someone would always make more than you, be more than you, do more than you and give more than you. But none of that should take away your own joys and happiness! As it is, most of us are living a wonderful life….if only we can pause and reflect on it. Great post WD! I’m so glad this resonated with you. Growing up poor has helped me be grateful for my material blessings. There will always be someone richer, taller, etc. It is tough to not compare. I try to remember where I came from and all I have to be thankful for. That helps. But of course, sometimes I forget and start comparing myself to Jim Dahle or some other impossible standard. Shows YOUR recent post if checked. I want to help you enjoy Financial Freedom. I learned a lot on my journey from poverty to financial independence. Let me help you by paving the road to financial freedom. Sign up for blog updates & freebies! Free E-book with signup. Wealthy Doc's Guide to Financial Freedom. Is work optional for you? Does your investment income cover all of your expenses? If not, I can teach you how to get there. Is Long-Term Care Insurance A Waste of Money? Will You Have The Money When You Need It? Return on Investment – Is Higher Better? Thank you WealthyDoc.com readers! I listened to you and created this new blog. It is better because of your input. I hope you agree. Copyright @2019 Wealthy Doc, LLC. All rights reserved.